Yes, dear friends of US-Vietnam educational exchange, fair season is upon us. 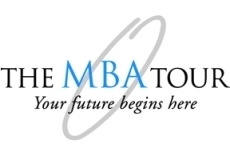 There are traditional (face-to-face) fairs and online fairs, fairs for MBA programs, general US higher education fairs, which include everything but the kitchen sink, and institution-specific (e.g., community college) fairs. Below is a partial list of online (i.e., virtual) and offline (in-person) US higher education fairs taking place throughout Vietnam in September and October. This flurry of activity is one indication of the continued high level of interest among US colleges and universities in recruiting Vietnamese students and the ongoing commitment to invest in these activities even in challenging fiscal times. It’s a very positive sign for those of us who believe that sending more Vietnamese young people to study in the US is a good thing for the students, Vietnam and the US. Monday, 12 September at Legend Hotel Saigon, 2A-4A Ton Duc Thang Street, District 1, HCMC.